Northern Japan was hit with an earthquake measuring 8.9 on the Richter scale. Image courtesy of US Geological Survey. Amid the general panic, fires broke out, glass shattered, and the Fukushima nuclear power plant was damaged, causing radiation levels to rise. This prompted civil authorities to order an emergency evacuation of the nearby area and the US to dispatch technicians and coolant from its nearby military base. 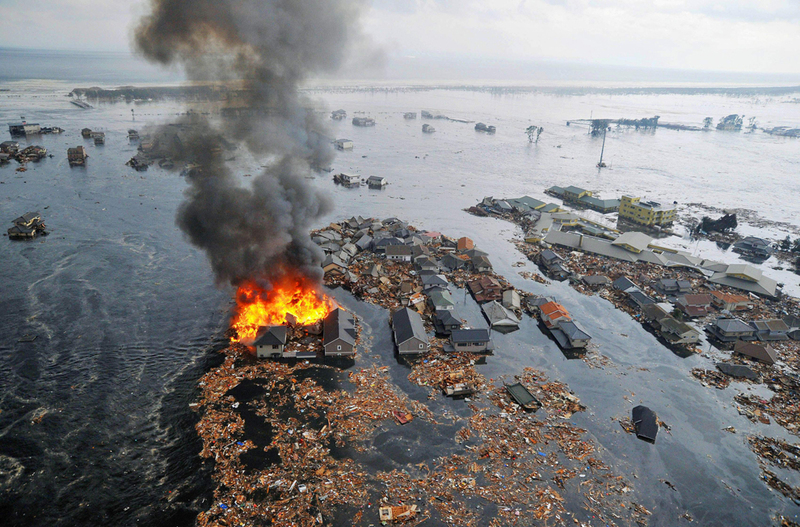 As if that were not enough, the offshore quake (near Sendai) caused a massive tsunami. Internet-savvy Japanese immediately started using google services, websites and social networks to communicate and coordinate their activities. Many credit stringent Japanese building standards with reducing the effects of the quake and its aftershocks.